Very Good. The Ruins of Alder (Leven Thumps (Paperback)) by Skye, Obert. Trade paperback (US). 416 p. Leven Thumps , 5. F-c cvr; b-w int ill. Intended for a juvenile audience. Good. 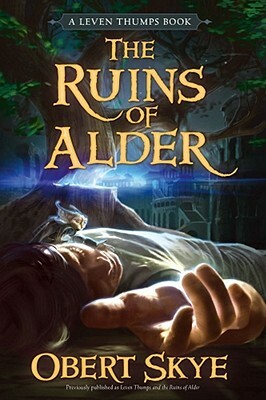 The Ruins of Alder (Leven Thumps (Paperback)) by Skye, Obert. Trade paperback (US). 416 p. Leven Thumps , 5. F-c cvr; b-w int ill. Intended for a juvenile audience. New. Trade paperback (US). 416 p. Leven Thumps , 5. F-c cvr; b-w int ill. Intended for a juvenile audience.